Extremely pleased with this dress!!! 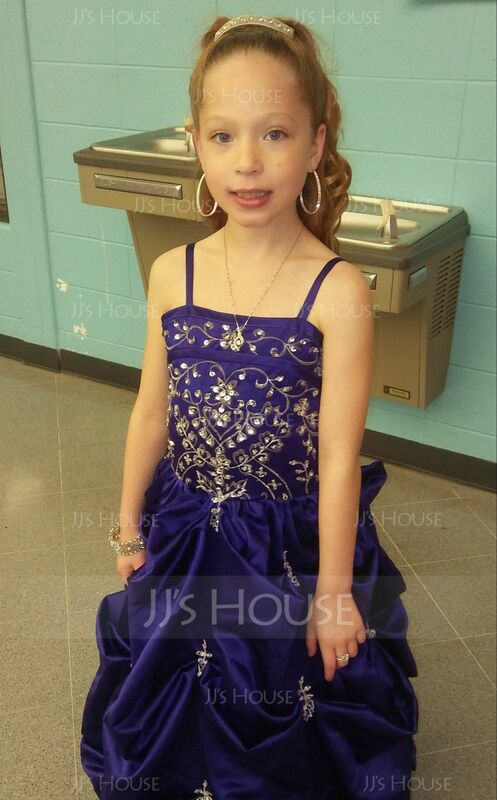 My daughter looked and felt like a princess wearing it!!! Love, love, love!!!! Beautiful and surprisingly ornate...fits like a glove (did the special order) but straps are a little long (not a big deal, can adjust easily). 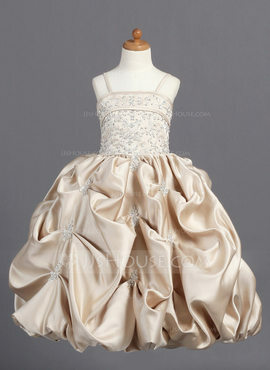 Can't wait to see my daughter in it on her Communion day! My daughter looked stunning in your dress! Perfect fit. We are so excited to have found this dress as it is such a close match to my wedding dress. We need to shorten the straps a little but other then that it's perfect. My flower girl can't wait for the big day. I bought this dress for my daughter in watermelon. It's absolutely beautiful! Great quality! 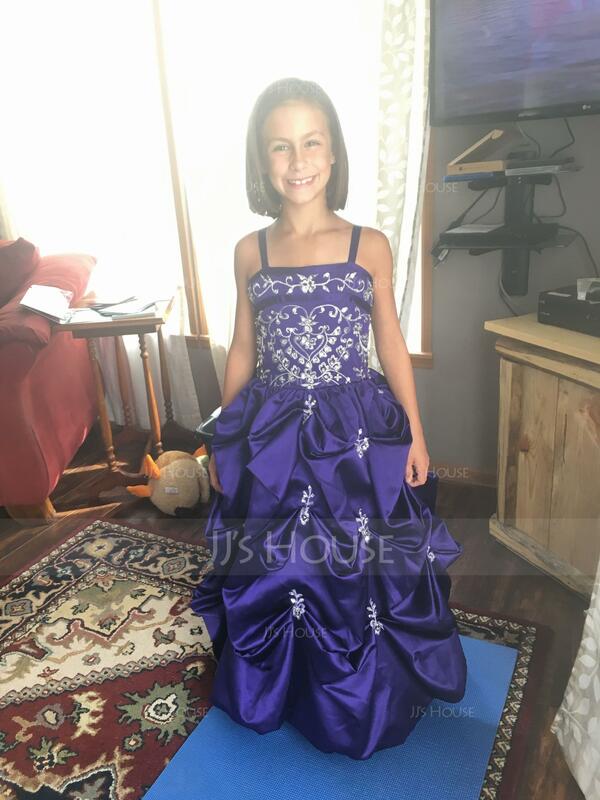 We're in the process of ordering our second dress from jjs House, and I will continue to purchase from there for all of her formal dresses! Absolutely Gorgeous Dress!!!!! I seriously could not believe the quality of materials that were used. My only suggestion, is that you order 1 size lower than what your child is. My daughter wears size 12, I ordered size 12. I had to get alterations, becuase it was about 1 full size too big. Other than that, just beautiful!!!!!! Amazing quality and service! Totally love this dress! My daughter does too! 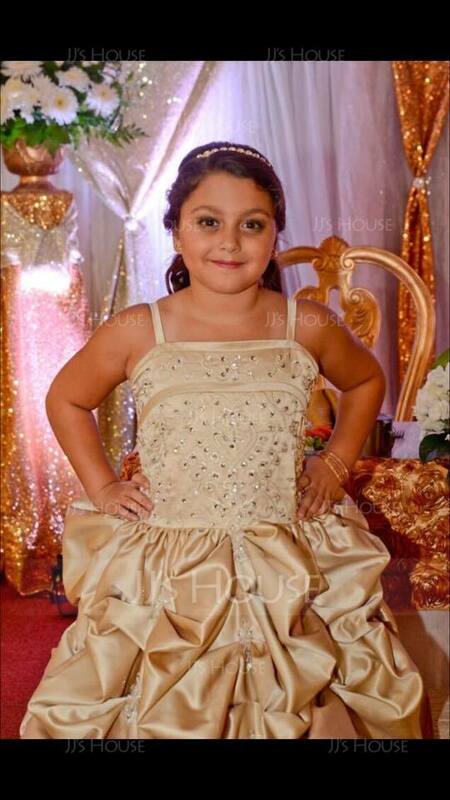 I love my daughter's dress it came exactly as the picture .I choose different color but it looks beautiful . Unbelievable!! 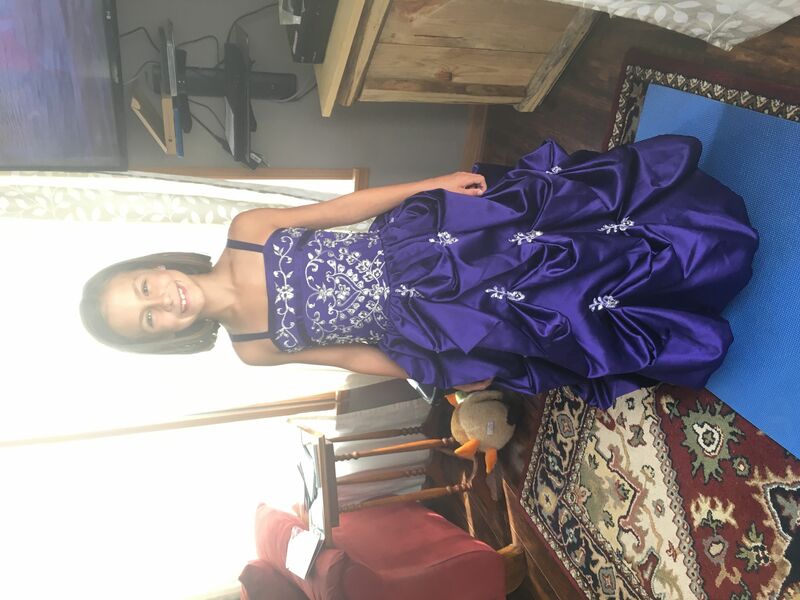 We are so completely happy with the dress for our daughter to wear in our wedding this fall. 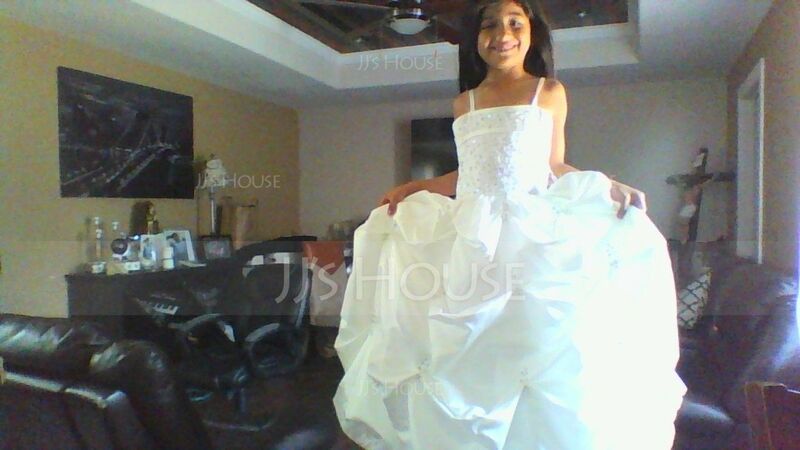 We were a little leery about ordering something custom on line but jjshouse is amazing! I couldn't have wished for more! 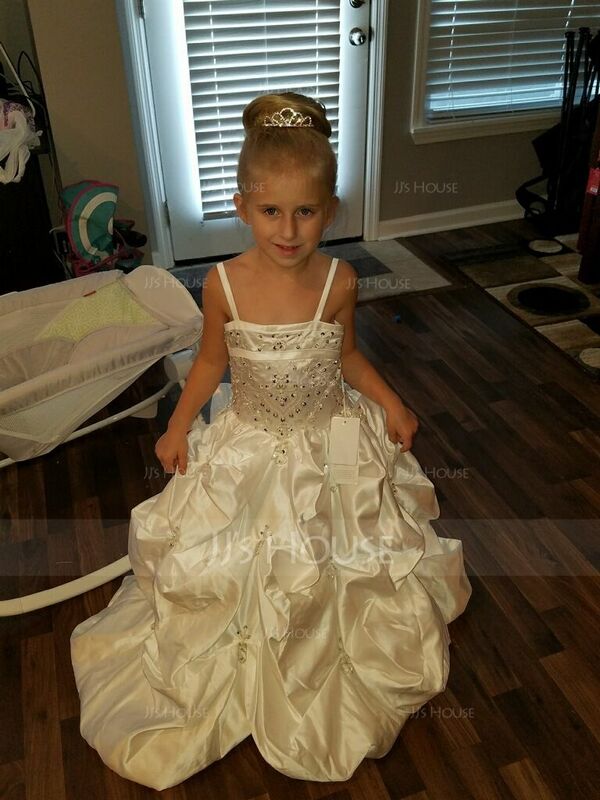 My daughter is my flower girl in my September wedding we received the dress yesterday and I think she will out shine me at the wedding it is absolutely beautiful.